author Massari, D. et al. journal The Astrophysical Journal, Volume 779, Issue 1, article id. 81, 9 pp. Messier 70 (also known as M70 or NGC 6681) is a globular cluster in the constellation Sagittarius. It was discovered by Charles Messier in 1780. M70 is at a distance of about 29,300 light years away from Earth and close to the Galactic Center. It is roughly the same size and luminosity as its neighbour in space, Globular Cluster M69. 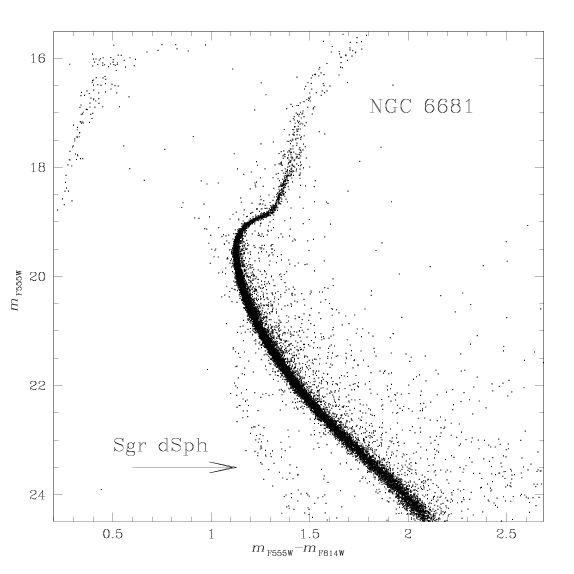 Only 2 variable stars are known within this cluster. 2013, The Astrophysical Journal, Volume 779, Issue 1, article id. 81, 9 pp. Watson, Alan M. et al.